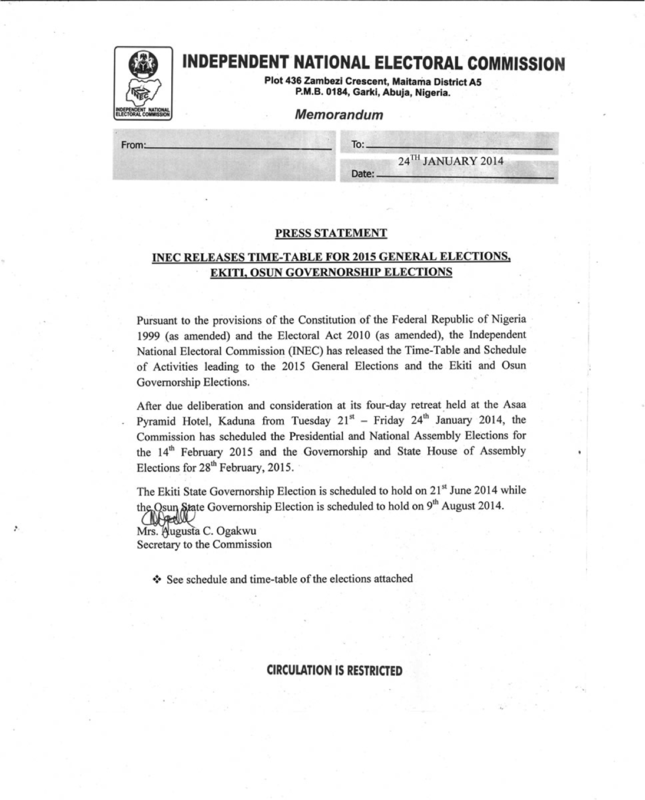 Nigeria Decide Blog – Page 11 – Nigeria 2015 General Elections information and monitoring platform. 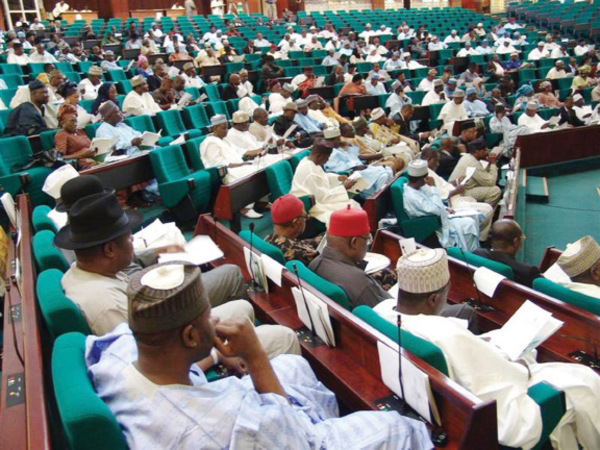 Five members of the All Progressives Congress (APC) in the Federal House of Representatives have defected to the Peoples Democratic Party (PDP), consequently handing the reins of the lower chambers to the ruling party. The House Committee on Ethics and Privileges has been directed by the members of the House of Representatives to investigate an allegation that defected members of the All Progressives Congress, APC, were induced with a bribe of $1 million to defect to the Peoples Democratic Party, PDP. OSOGBO—National Leader of All Progressives Congress, APC, Senator Bola Ahmed Tinubu, yesterday(12th Feb), said the Presidential candidate of the party for the 2015 general elections would soon emerge. Fielding questions from newsmen after a closed door meeting with the Osun State government officials led by Governor Rauf Aregbesola and leaders of the state chapter of the Christian Association of Nigeria, CAN ,over the crisis arising from the new education policy in the state, Tinubu stated that the party’s presidential candidate would emerge through an open and transparent system. 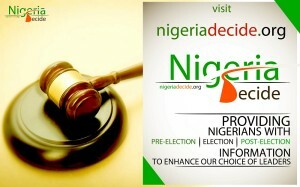 The Chairman, Independent National Electoral Commission (INEC), Professor Attahiru Jega, has said the timetable for the 2015 general election recently announced by the Commission was informed by rational and logical considerations, not sentimental or ulterior motivations. 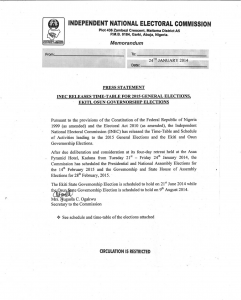 Nigeria’s EMB, Independent National Electoral Commission(INEC), recently released the timetable of the 2014 Ekiti State Governorship Election, Below is the official timeline. 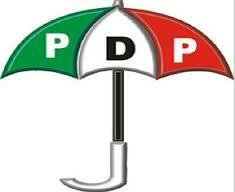 Your votes have the power to change Nigeria for good through your choosing of the right leadership. Dont Sell or allow your votes to be compromised, participate in the elections and monitor it yourself to ensure the announced result is that which represent the choice of the people. Nigeria Decide 2015 is a platform dedicated to providing you with complete Pre-elections, elections and post-elections information about Nigeria’s 2015 General Elections. The platform also has an Election Monitoring platform that aims at preventing rigging in the 2015 Elections by comparing real-time result sent in by registered users(Voters) against that which is announced by EMB, We are working hard to ensure the integrity of the system. The system cannot however function as expected without you. See how to contribute towards this project.